A few posts ago I mentioned meeting some long lost cousins in Edmonton, Alberta. Our common ancestry begins with our great grandfather Steve who, by all accounts, was a rather cruel and troubled individual. 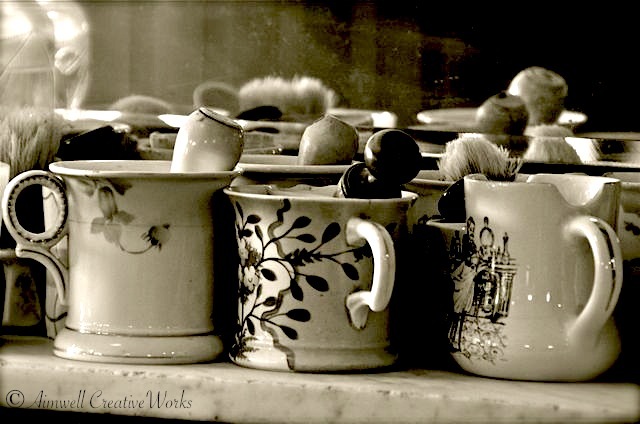 Judging by some of the travails that have haunted our families since I see no evidence to the contrary. The details are sketchy, but he was born in Tyre, Michigan in February 1877, and headed west across the U.S. to Montana with the building of the Great Northern Railroad. Later, some time in the 1920s, he landed with his wife and three sons in Southern Alberta. There he bought and farmed a section of land near Youngstown, not far from the Saskatchewan border, and set up a pool hall and barbershop in town. I’m told he lead a rather prosperous life. 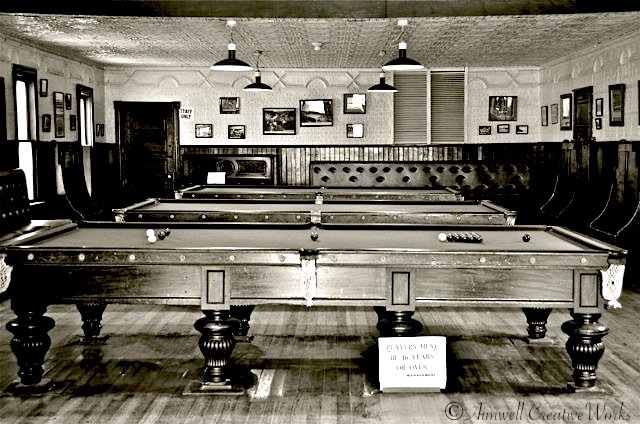 These images depict a barbershop/pool hall which, in those days, inhabited the same space. 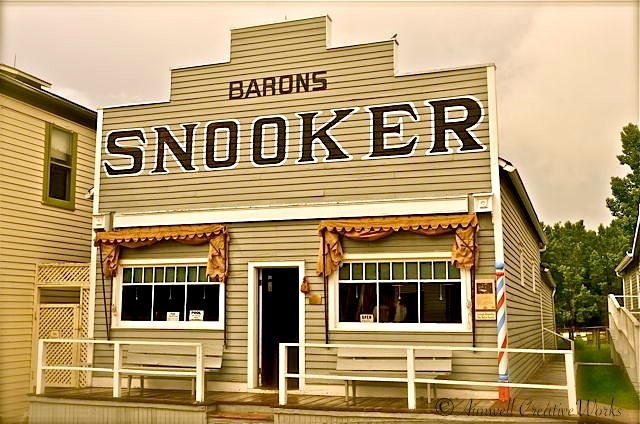 This particular pool hall was saved and moved from small town Barons, Alberta, to its present location in Calgary’s beautiful Heritage Park Historical Village — a spot I always love to visit when I’m in town. 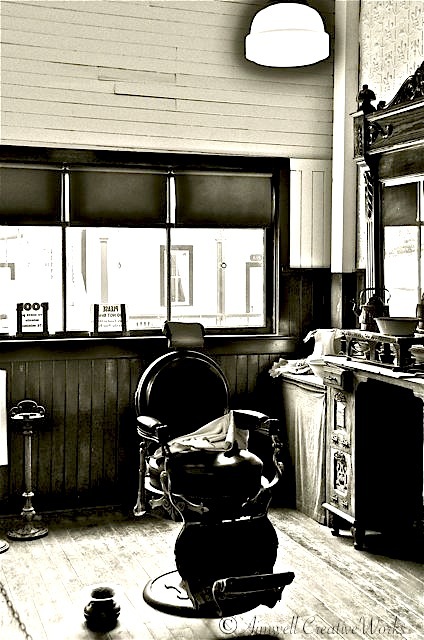 My personal collection of vintage photos includes one of great grandpa Steve in his barbershop standing behind his barber’s chair, so when I walked inside this piece of Alberta history it felt like I was, for a moment, stepping into his world. I found the experience to be quite moving, especially since I’d just visited with the cousins and the spirit of our family conversations still lingered. Great Grandpa Steve lost everything during the Great Depression and Dust Bowl. This, no doubt, only exacerbated his already cantankerous nature making life even more difficult for his traumatized family. In the end, they migrated hundreds of miles to north of Edmonton where, in his 50s, Steve started all over again … securing land from the government in exchange for clearing and planting and creating a working farm. 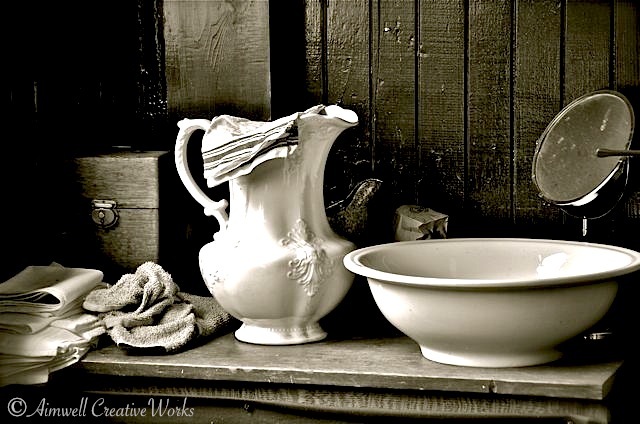 This entry was posted in Alberta, Canada, History, Photography, Reflections, Travel, Uncategorized and tagged Alberta, family history, Heritage Park, Photography, Travel. Bookmark the permalink. Amazing photos and description. I like the small towns and the people. You feel relax and safe in a city where people are not in a rush and desperate. Thank you.